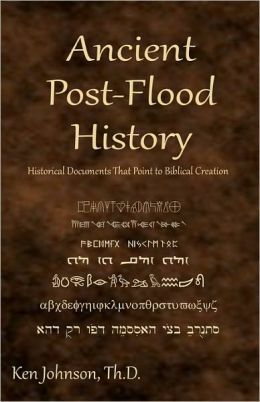 There’s a book I’ve been reading called Ancient Post-Flood History. The author goes through a series of ancient documents covering what really happened in the past using a Biblical timeline. Did you know that some of the ancient myth gods (Zeus, Hercules, Odin, etc.) were actually real people? People who lived and died, but later became deified as gods – memory of them being human lost during the passage of time. Now, it should be said, I personally don’t believe everything it this book is accurate, BUT… much of it seems to be plausible. Tomorrow I’m hoping to go a little deeper into this book; we can do a little bit each day. So, if this is you’re interested in, then make sure to come back. If you have read this book before and would like to comment. Please do. I’d love to hear your opinion. Just finished reading it. Blew my mind. I’m inclined to believe most of it, because it relies on ancient sources which were themselves encyclopedic in their time. It seems plausible and fits with what we know from Genesis. I am really glad I found his books, because I have always been curious about what happened after the flood. It is incredibly hard to read between the lines of secular history and piece it all together. Especially when you do not even know what is true and what is not. You can’t even trust those who claim to be Christian. Well, it’s interesting to read the authentic mainstream historical books written before the 20th century. The top academics of their times were unanimous in their acceptance of Biblical history as fact and formed all ancient histories along side of its outline. I’m reading an official history record from the National British Archive written in 1850 which follows the same basic outline, as does the French archive from the century before. Darwinism and humanism replaced real history in the 20th century, and all previous records have been forgotten.